[toc] Eyes are one of the most vital and complex organs of the human body. It has several parts, and proper functioning of all the parts gives you the sense of vision. However, when one or more parts of your eyes get infected vision becomes disturbed, and you will have pain and inflammation. Seriousness of the infection depends on which part of the eye is infected. Conjunctivitis which results in infection of the inner layer of the eye lid or conjunctiva is a fairly simple and common disease. It generally goes away on its own, though in the intervening period it causes itching, redness and swelling. However, not all the eye infections are so simple. The sclerae, the cornea, the retina, the fluid inside the eye, and even the blood vessels supplying blood to the retina can get infected causing varying degrees of disturbance and emergency. Most of the microorganisms such as virus, bacteria and fungus that infect the body may also infect your eyes. Mode of treatment depends on the severity of the infection, the particular area of the eye infected and the intensity of the infection. Some eye infections can even travel from other parts of the body to the eye such as ocular histoplasmosis. So visit a doctor to ascertain the severity of infection. These are severe kinds of infections. However, in general we mostly come across conjunctivitis, blepharitis and such other less severe eye infections. These eye infections can be very well taken care of at home. There are a lot of home remedies for treating such infections. Let us look at some of these remedies. 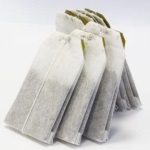 The tea bag that you discard after use may be of quite a use in treating eye infections. Tea contains tannin, a natural compound that exhibits a profound anti-inflammatory character. Not only that it is also a pain killer. However, it is always better to use a fresh tea bag. Dip it in warm water and just when the water starts taking a colour take it out, lye down and place the bag on the eye lid. Keep it there for at least 20 minutes. Again dip it in hot water and put it on the eye lid. With regular use for at least twice a day you will see that the inflammation and pain has come down drastically. An warm compress is quite beneficial if the infection is visible such as a sty, conjunctivitis, blepharitis etc. A warm compress can relieve the eye irritation, inflammation, redness and the associated redness. Take a bowl of lukewarm water and compress your eyes with a towel soaked in it. 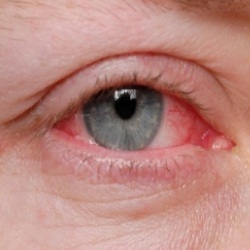 You will find relief from the symptoms of eye infection. Turmeric is one of the most effective anti-inflammatory and antioxidant elements found in almost all housholds. 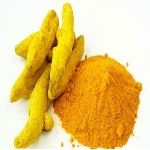 Curcumin, a natural compound found in turmeric is responsible for this property of tumeric. It has been used since a long time to get relief from inflammations and consequent pain. You can make an eyedrop using turmeric. Add one teaspoon of turmeric powder in two cups of distilled water. Mix well and take it drop by drop on the infected eye. With regular use the redness and swelling will come down. 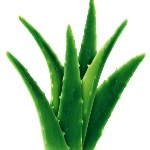 Aloe vera has a soothing effect on the skin as well as the eyes. It provides a cooling sensation which alleviates inflammation, swelling and redness. It is not known so much for its antibiotic properties, but it is able to fight microoranisms as well. Moreover, it has a pronounced moisturising effect. So if you are suffering from a dryness in your eyes coupled with inflammation, swelling and redness resulting from infection then aloe vera may be the perfect choice for you. Take some fresh aloe vera gel and mix it completely in distilled water. Now moisten a clean piece of cloth in this liquid and place it on the eyes for at least 20 minutes. With regular use you will find relief from the swelling, redness, itching and discomfort. Corrander seeds have been found to be quite effective in treating eye infections such as stye, conjunctivitis etc. Corriander acts as an immunebooster. It is anti-inflammatory, antibiotic and has a cleansing action. All these properties can be quite useful in treating eye infections. To use corriander boil some corriander seeds in water for at least 10 minutes. When the water cools down, strain it and take the clear liquid. Wash your eyes with it at least twice a day. You will find the difference in about two days.